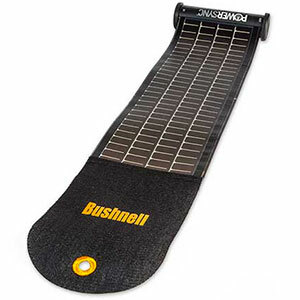 While it has some significant limitations, the Bushnell Solar Wrap Mini 100, works well as a lightweight backup battery for a variety of electronics in the field. Using the product, I kept an iPhone 4s and an iPad Mini charged throughout a thru-hike of the Colorado Trail. In preparing for a thru-hike of the Colorado Trail, I figured I would need more battery power to supplement the internal batteries of my iPhone and iPad Mini. I planned to be on trail for up to six days between resupplies. In researching options, most supplemental battery charging systems were either expensive, too heavy for backpacking, or typically, both. What I decided to carry was the Solar Wrap Mini 100, for a number of reasons. Weight of only 4 ounces, including the cord. 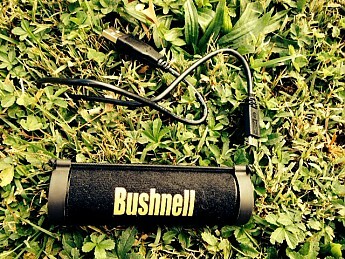 Same battery capacity of some of the larger Bushnell products. 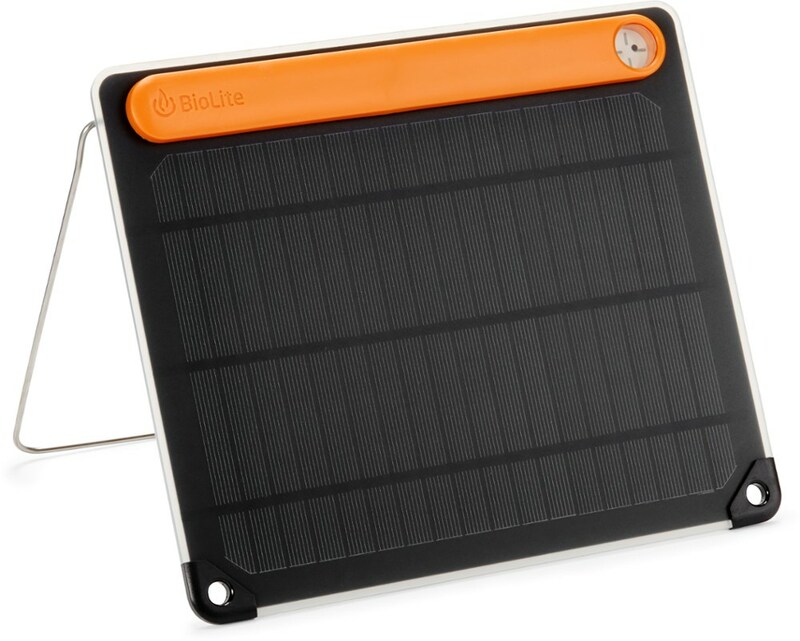 At $60, the cheapest solar charger that I found. 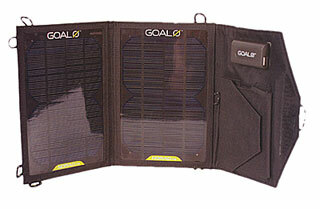 At each overnight resupply, I would attempt to fully charge the phone, tablet and Solar Wrap using an AC outlet. The phone, in airplane mode, would typically last three days or so before needing a charge. The tablet would last a day or two longer, often making the next resupply with just a bit of a charge. 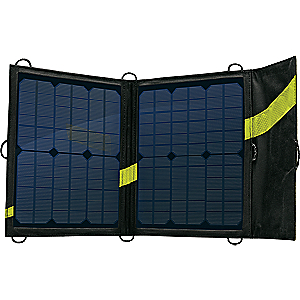 Generally, the Solar Wrap could recharge the phone from the AC fill I gave it back in town. I would then lay it out in the evening sun after making camp in an attempt to build up the battery supply in case it would be needed. 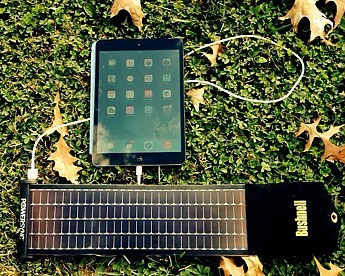 This would never completely "reload" the Solar Wrap, but would give me enough juice to either add battery life to the IPad, or recharge the phone an additional 20% or so if needed. 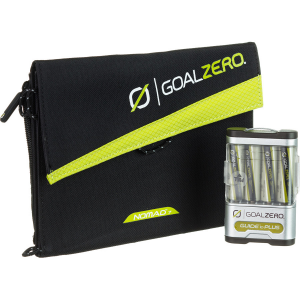 My feeling was if I had kept the Solar Wrap out in the bright Colorado sun for the ten hours listed on the instructions, I would have been able to fully recharge the phone again without using AC current, but I never got into that situation. It did seem to take pretty bright sun to work, so I'm not sure how well it would work in a cloudier or shadier environment. The phone/iPad recharge is reasonably fast. With a fully charged Solar Wrap, I brought the battery in my iPhone from 38% to 100% in 90 minutes. Soaking up some sun and charging an IPad at the same time. I felt the Solar Wrap provided me with some cheap and lightweight insurance. If I were ever hurt on the trail with a dead phone, I'm confident the product would put enough charge back into the phone to make a phone call. Or, if I was out of cell range I'd have enough battery power in the phone to at least play "Knocking on Heaven's Door." Nice review. I thought Bushnell just did binoculars. I am curios about your choice to do a long hike with both your phone and a tablet! That's a choice I questioned as well. There was a lot of overlap. For me, a tablet seemed better for reading books and creating entries for my blog. I also brought a higher end camera and downloaded shots onto the tablet as a back up. The phone, on the other hand, could make phone calls and served as a back up camera. If I had it to do over again, I'd probably get one of the new, bigger phones and just go with that. Nice review, Simba. Thanks for sharing it. Summary: This product uses excellent solar cells, but doesn't generate or store enough power for most common devices at normal usage rates. 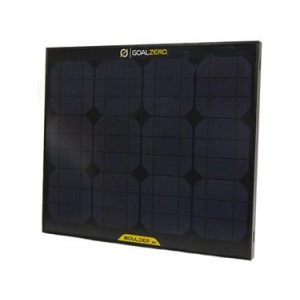 Bushnell doesn't publish the power specifications for this product in terms of solar panel output or battery capacity. They only mention the USB port's maximum output and how long it takes to recharge the battery. So, based on my experience with Powerfilm (maker of the solar cells), and a bit of research on the battery pack, I can convey that based on the size, this solar panel is in the 1.5 - 2 Watt range. The battery, is quoted as 2200mAHr. 10 hours of FULL sunshine to full charge the SolarWrap battery from dead = 2 full days in summer sun. 75% of a typical iPhone or other smartphone battery is stored in the SolarWrap (once charging losses are taken into account). I am a big fan of Powerfilm, but this product doesn't use enough of it and is grossly underpowered for most trekkers with a phone and camera. ie If you really need that smartphone, you'll make sure that the solar storage battery is at least double the phone's (and the solar generation has room to spare). 5,000mAHr for a phone, and 10,000mAHr if you have more devices is typical. In my experience, there are very few consumer-level products that provide a level of power performance to NOT make people disappointed. Pocket chargers & solar phone cases are mostly for emergency 10% solar boosts & double-talk-time, not for serious trekking. Please take the time to do a power budget, and compare against product specs. If the product specs are hidden by the manufacturer, like in this Bushnell case, then leave it on the shelf. It's for backup. This is for field, for emergency. It's for backup, not for charging all tec devices. This is for field, for charge, maybe the phone, a GPS, things like that, for emergency. This is not The Walking Dead, in a Survival situation. You don't need an iPad; you are in the field, No iPad apertura HD can replace the stars etc. Welcome to Trailspace. Thanks for posting. 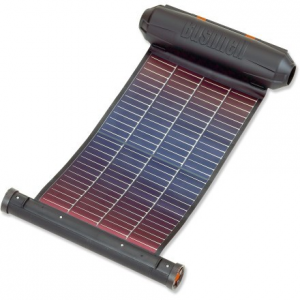 The Bushnell SolarWrap Mini is not available from the stores we monitor. It was last seen September 5, 2016	at L.L.Bean.